The use of lasers in skin of color continues to grow with advancing technologies. At the same time, patients with skin of color often require special consideration when receiving laser, light and energy based procedures. These patients are especially vulnerable because any significant trauma can cause temporary or permanent pigmentary changes and scarring. For the clinician, laser procedures in patients with skin of color can therefore be challenging. Due to enhanced technology and recent advances, the demand to seek laser procedures to address these patients’ cosmetic concerns has reached new heights. Patients with skin of color have various motivations and goals including attaining an even skin tone, removing unwanted hair, and/or reducing the signs of aging. The American Society of Plastic and Reconstructive Surgery’s annual survey revealed that cosmetic procedures among minority patients increased from 12 % of all cosmetically treated patients in 1992 to 21 % in 2012. Close to 15 million aesthetic procedures were performed in the US in 2012. Of these patients, 7 % were African American, 8 % were Hispanic, 5 % were Asian, and 2 % were other non-Caucasian. American Society for Aesthetic Plastic Surgery. Cosmetic Surgery National Data Bank statistics; 2012. 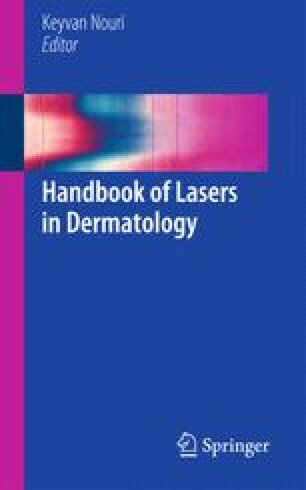 Available at: http://www.surgery.org/sites/default/files/ASAPS-2012-Stats.pdf. Liu L‐H, et al. Randomized trial of three phototherapy methods for the treatment of acne vulgaris in Chinese patients. Photodermatol Photoimmunol Photomed. 2013;Dec 9. doi: 10.1111/phpp12098. [Epub ahead of print].